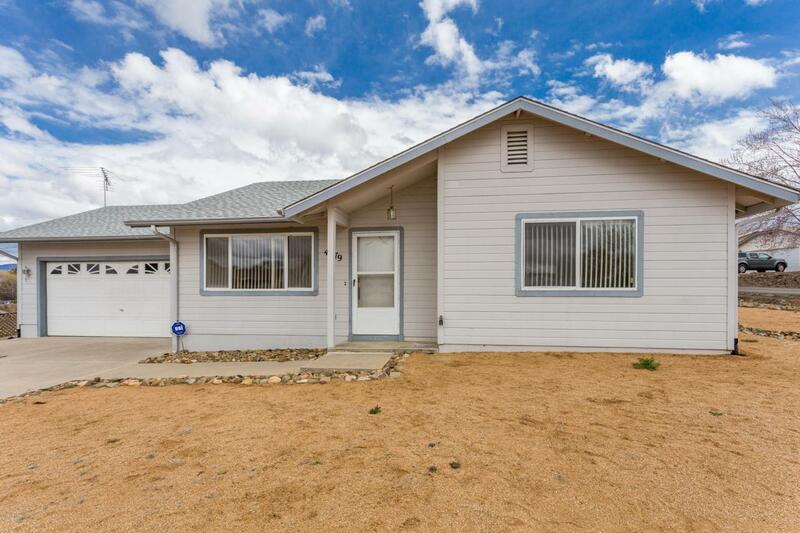 Beautiful home in Prescott Valley offers corner location, 2 car garage w/utility sink, block privacy fenced backyard on corner lot with storage shed and solar hot water heater! Interior features include open & spacious floor plan, 2 bedrooms and 1 bath, tile throughout the entire home; perfect for allergen-sensitive Buyers. Recent updates & upgrades include extensive wood plank tile flooring installed within the last 2-3 years, new roof last 4-5 years, low maintenance Masonite Omniwood siding on the exterior. Kitchen has breakfast bar with adjacent dining area, stainless steel appliances all updated within the last 3-4 years, pantry, and great storage & cabinetry. Backyard is private and spacious, fully landscaped and has covered & open patios.